The South Western corner of Australia really is like no other! 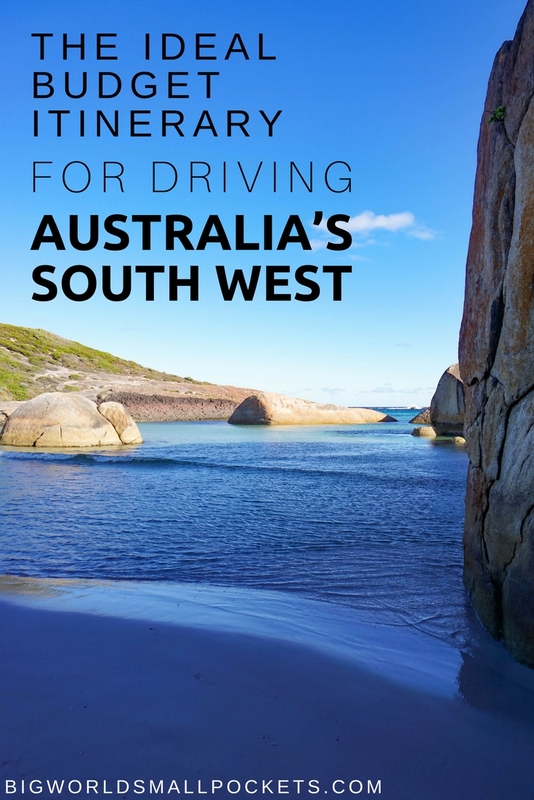 From the towering Karri forests to the raging Southern Ocean, the vineyards of Margaret River and the urban grit of Fremantle, this road trip takes in the huge diversity of this area and bundles it into one joyful 7 day package! 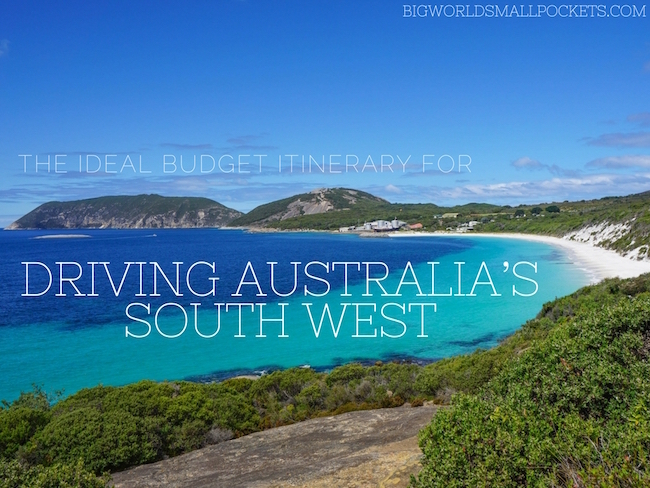 I really could not believe how different the South West was to the rest of Australia when I first visited and I hope to be able to share that almost fairytale-like wonder it inspires in many of us. 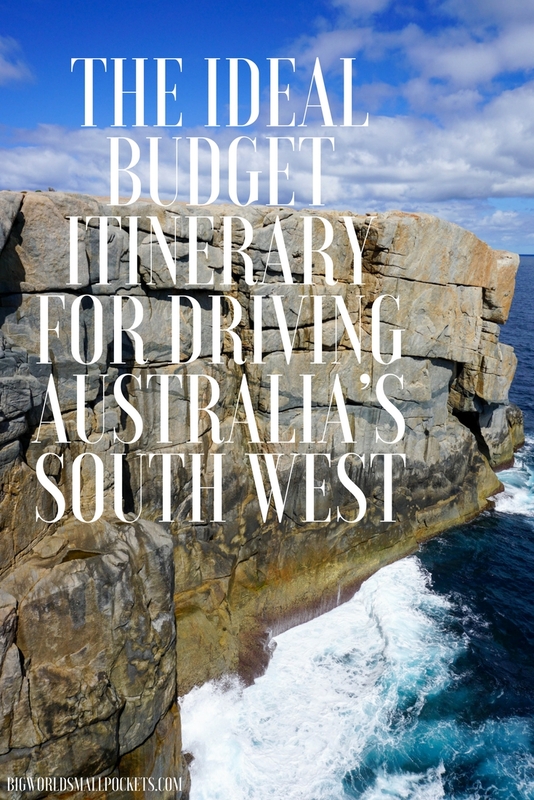 So, to show you all the best bits you need to visit, here is the ideal budget itinerary for driving Australia’s South West. 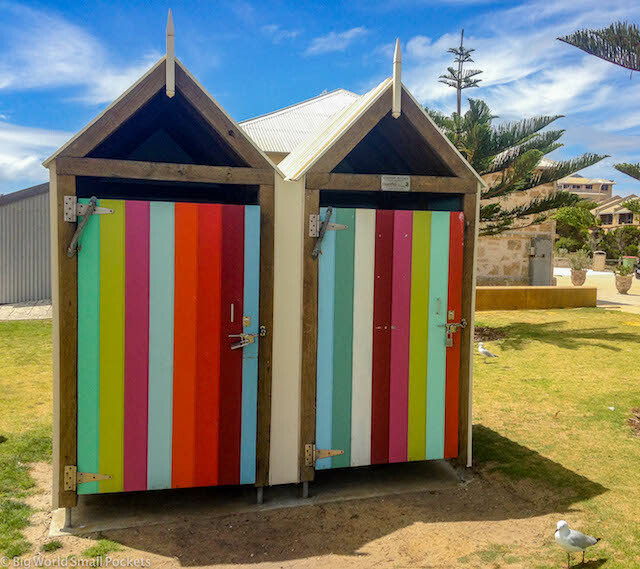 Have an easy day’s travel from Perth on the first day by just hopping, skipping and jumping across the river to the historic port city of Fremantle – once industrial hub, now progressive, hipster, bohemian mecca! From cafes to vintage shops, markets to heritage buildings, there’s tons you can fill a day with here. Why not check out the Fremantle Prison, the WA Maritime Museum or Little Creatures Brewery. Or else pop over to Rottnest Island to rent a bike for the day and meet the Quokkas! Ferries with Rottnest Express leave from right near the centre of Fremantle and take only 45 minutes to cross. You can check out why I loved my time on this island so much here. After your relaxing day in Fremantle, it’s really time to get on with some serious driving and the stretch down to Albany is a good one. Be sure to make lots of stops, a top one being Porongurup National Park. One of the oldest ranges in the world, it is well worth climbing the Granite Skywalk here and enjoying the stunning views it gives. 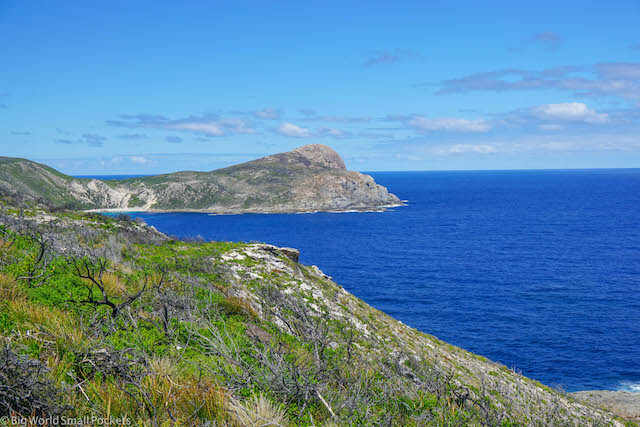 Then, in Albany itself, Torndirrup is another incredible national park you need to visit. The Gap and the Natural Bridge here are quite remarkable and give you a direct insight into the force of the great Southern Ocean which roars around you. After this, a drive to just above the Old Whaling Station gives sensational views or back in town the National ANZAC Centre is well worth a trip too. Finish your time by watching the sunset from West Cape Howe National Park, where you can camp right on the beach for next to nothing – woo hoo! 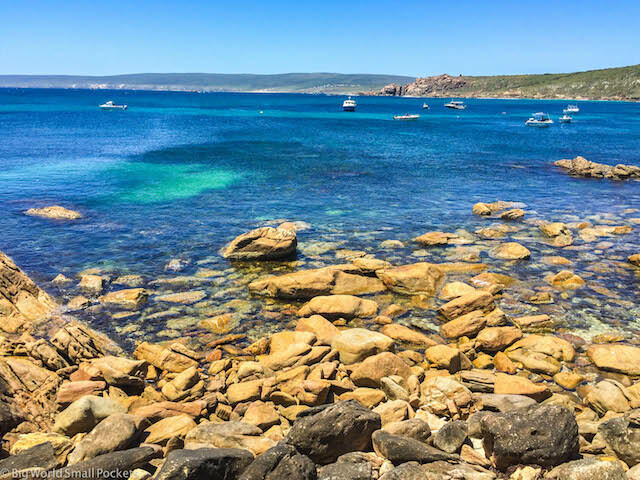 It’s time to start leaving the coastline and heading inland on day 4 again, but, before you do, a trip to the cute town of Denmark, followed by William Bay National Park is a must. Here the amazing Elephant Rocks and Greens Pools are the perfect place to while away a morning and enjoy a swim. 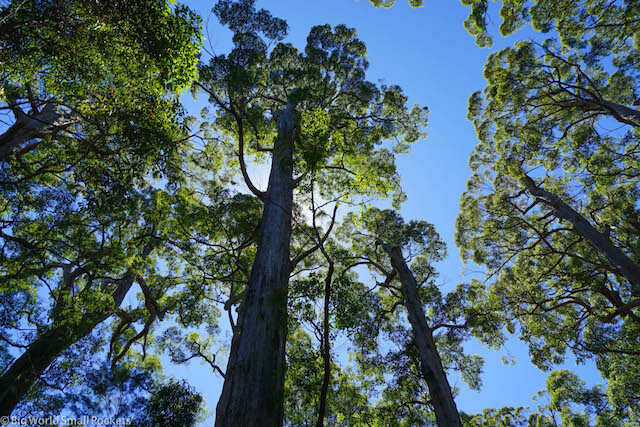 Carrying on towards Pemberton, the Walpole-Nornalup National Park is the heart of the magnificent Tingle Tree country. And if you’re into big trees, then the Gloucester Tree just outside of Pemberton takes some beating. Set in the heart of Karri Tree country, this is the world’s tallest fire lookout tree, which you can climb to enjoy views above the canopy … if you’ve got the nerves for it! After a big day, finishing up at the Pemberton Best Western is the perfect way to treat yourself and unwind. After Pemberton, the forested beauty continues as you make your way towards Margaret River. Going via Augusta at the bottom of the peninsula will give you a great chance to snap the tallest lighthouse in Australia and spot whales between June and September before exploring more of the coastline as you head north. Along the way you can’t miss the Hamelin Bay where giant rays can be seen right from the shoreline! 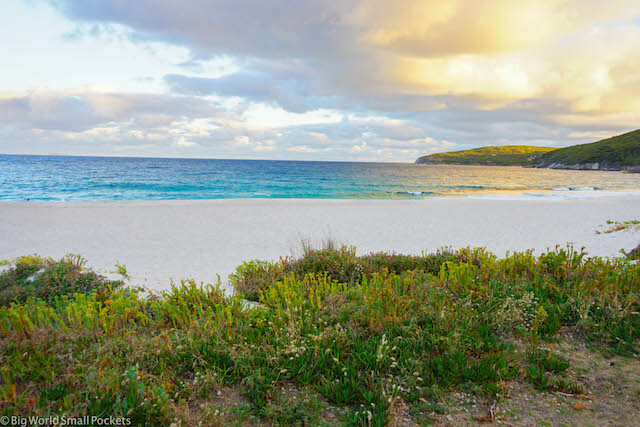 From there head to Conto’s Campground within Leeuwin-Naturaliste National Park to spend the night close to the shoreline or else head into the town of Margaret River itself where Margaret River Lodge is a great budget option. The following day, it’s time to explore the rest of the peninsula. The beach at Prevelly is a gorgeous spot, as is Gracetown, Sugarloaf Rock, Canal Rocks and Cape Naturaliste Lighthouse. From open cellar door to farmers markets, it’s all here for the tasting and a drive along Caves Road will give you more options than you can ever hope to fit into your time. And if you’re still looking for things to do then there’s plenty of caves to explore, trails to hike, lanes to drive and tracks to cycle too! Learn more in my ultimate guide to visiting Margaret River on a budget. The final day of your trip sees you leaving Margaret River and heading back towards Perth. First stop is Dunsborough, a cute little coastal town where you can grab a great coffee and breakfast to set you up for the day. With one night of your trip still to go, Busselton is the perfect place to spend it. This gorgeous seaside resort boasts lot of lovely cafes and its safe swimming beach, set within Geographe Bay, is the perfect place to unwind. 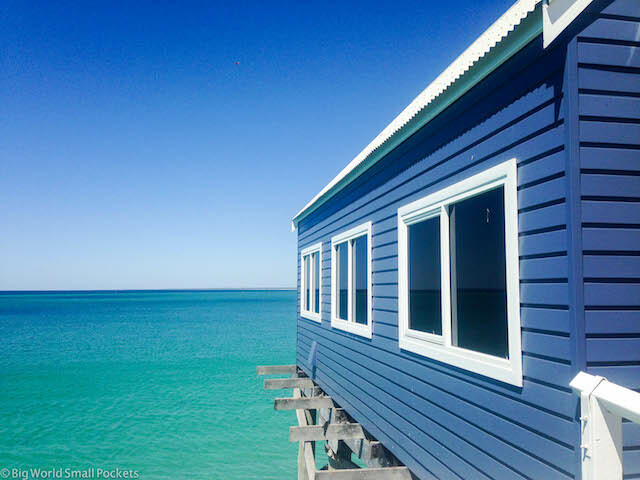 While you’re here, be sure to snap and stroll Busselton’s incredibly picturesque 148 year old jetty – it think it has to be one of the prettiest in the whole of Australia. And then bed down for the night at the RAC Busselton Holiday Park – a great value accommodation option right near town. Road tripping through Australia’s South West was undoubtedly one of my favourite parts of our whole adventure in this country, not least because of the huge natural diversity and beauty it showcased. Perfect to explore no matter the time of year, I highly recommend getting this little corner of the Land Down Under on your bucket list soon!